Kingzer Underwater LED Light Fountain Landscape Lamp Waterproof 12V 10W Warm White | Fountain City Art Ctr. High brightness, low consumption, long lifespan, energy saving and environmental protection. Adopts high quality aluminum alloy material, which is good for heat dissipation and waterproof. 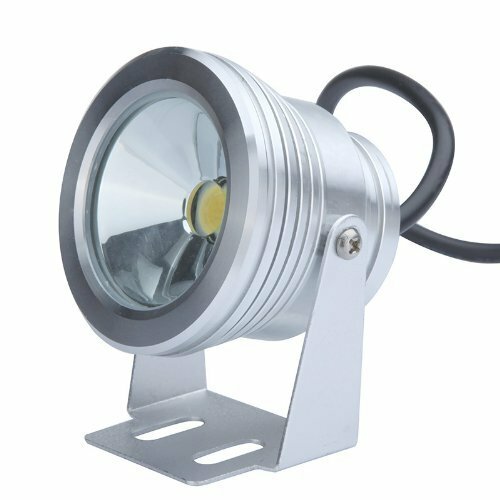 Suitable for use in swimming pool, fountain, rockery, aquarium, diving pond, cultural and commercial place, landscape lighting, etc. If you have any questions about this product by KINGZER, contact us by completing and submitting the form below. If you are looking for a specif part number, please include it with your message.